This is a lovely, citrus smelling face oil - I really like the smell, and don't find it too overwhelming. I actually think it's a great scent of orange with a hint of spice that is calming and great before bedtime! 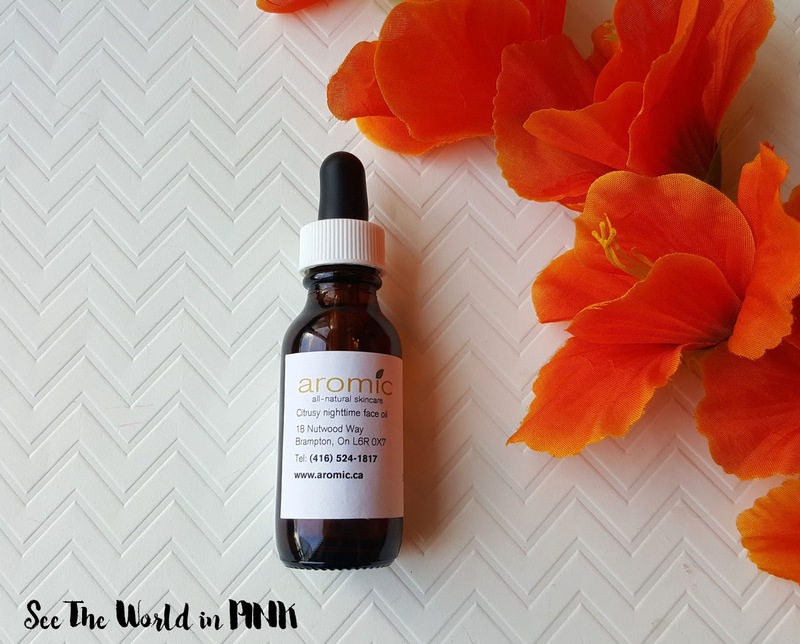 This face oil is easy to use, simply apply 4-5 drops to face and neck before going to bed. Apply more if needed. Shake well before using. I personally use face oils in the same place as my serums/essences/ampoules (they are all essentially similar products with slightly different names and ingredients. This step of my skincare routine is after cleansing, toning, misting, and before the application of moisturizers - if you would like a detailed step-by-step of my skincare routine, you can check it out here! This oil is a nice, thin consistency, making it really easy to apply. 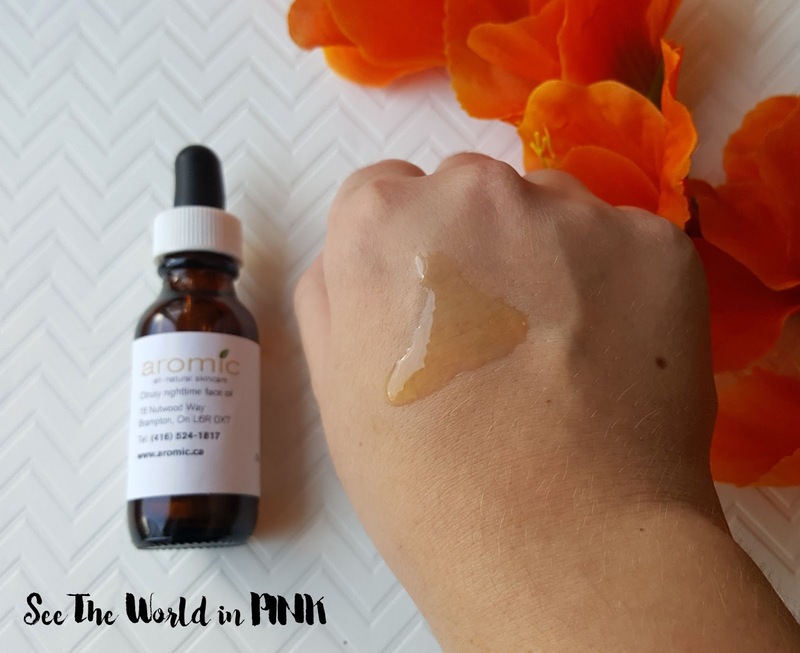 I find some thicker oils can be a little hard to smooth evenly on the face and get everywhere - this oil is so easy to make sure you apply it well to the entire face. It absorbs nicely in to skin and doesn't leave an overly greasy feeling. 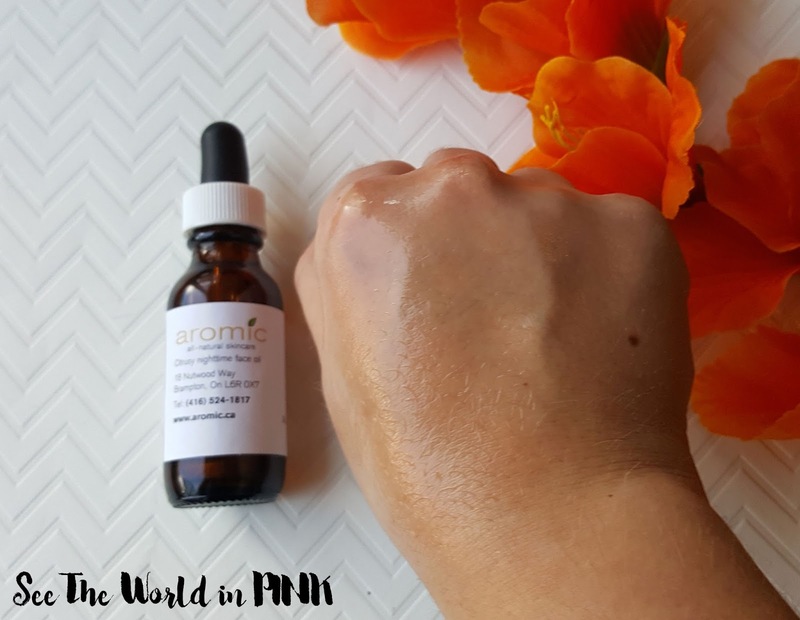 I thought this oil made my skin really look great - after using it for a little while, my skin looked healthy and bright! I think this worked well!